This time of year I really like a little pigment on my lips. 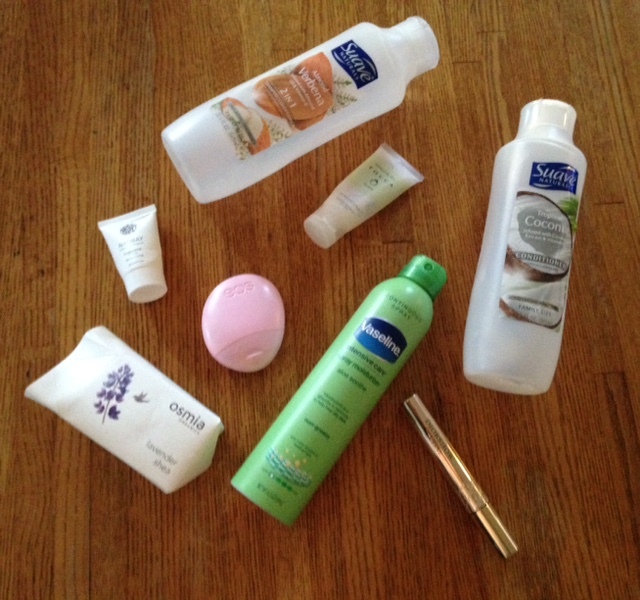 In the warmer months I’m happy with a clear balm, but fall makes me yearn for berries and browns. 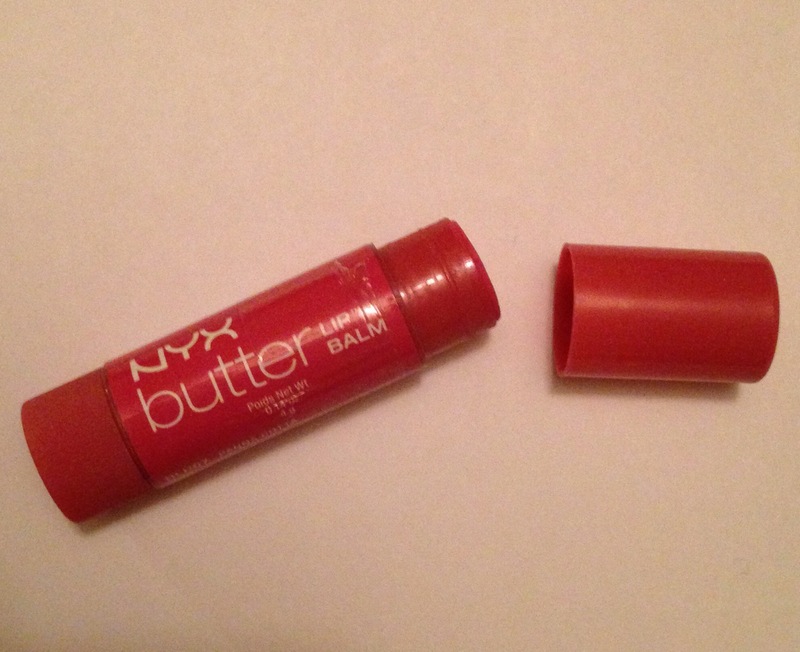 This season I keep grabbing the same tinted balm again and again: NYX Butter Lip Balm in Panna Cotta. It has a smooth, creamy texture that lasts for hours and a sort of burnt rose shade that is both flattering and just right for fall. Plus, at less than $4 a tube, I’m pretty sure a better deal for a pretty pout doesn’t exist. It’s no secret that I love NYX Cosmetics. 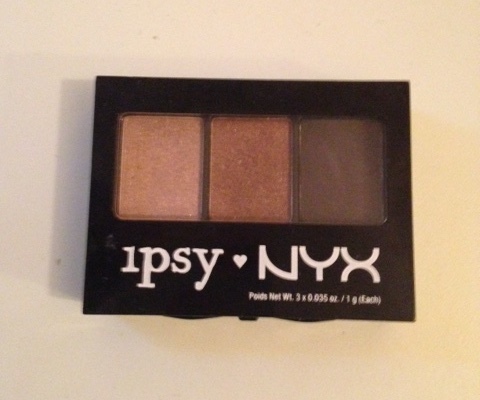 So when I discovered that my September Ipsy bag contained a trio of NYX eye shadows created exclusively for Ipsy subscribers, I was psyched. Not surprisingly, NYX delivered a trio of high-quality shadows that are easy to apply, long lasting and versatile – the three shades can be worn together or separately. The set contains a light beige shadow, a rich medium brown, and a deep black that makes a great liner. The first two shades have the slightest bit of shimmer. I really like the beige, but I cannot get enough of the brown; it’s just right to make my blue eyes pop and I find myself reaching for it each and every day. This month I also received a Crown Brush AC012 Shadow/Crease Duet brush from Ipsy, and I have to say I’m really impressed. I usually prefer a sponge tip applicator for eyeshadow application, but this brush is firm enough to pick up the right amount of powder while still being soft enough to glide smoothly over the lid. Both of these Ipsy picks have definitely made it into the daily rotation! I have a confession to make. I drink a lot of coffee. Like, a lot. For several hours each morning – and sometimes in the afternoon – you’ll find me clutching an oversized coffee mug, drinking my fill of liquid motivation. Eventually I’ll remember that I need to actually hydrate myself, at which point I’ll trade in the mug for a water bottle and go about my day. The problem is, with all that sipping going on it can be nearly impossible to find a lip color that lasts. In fact, I can’t remember the last time I found one that stayed with me through my morning commute, let alone until lunchtime. 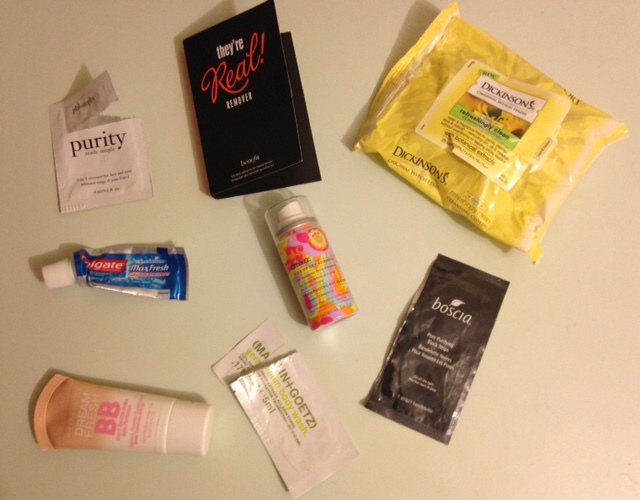 Enter the highlight of my last Birchbox, LAQA & Co. Cheeky Lip in Humble Brag. I was thrilled to discover that this pretty pink crayon lasts and lasts. As in, it doesn’t rub off on my cup/straw/husband and is still going strong hours after application. For a girl who loves lipstick but hates having to reapply, this is definitely my kind of product. 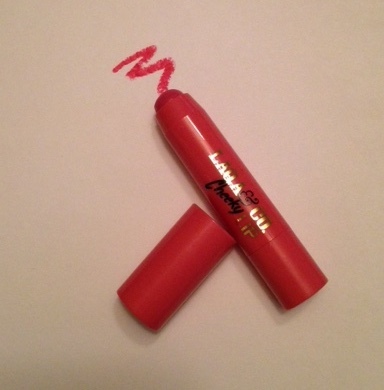 Humble Brag is part of the Charm School Kit, a set of three creamy lip and cheek crayons. It’s described as a blush pink, but I think it’s more of a muted fuchsia. 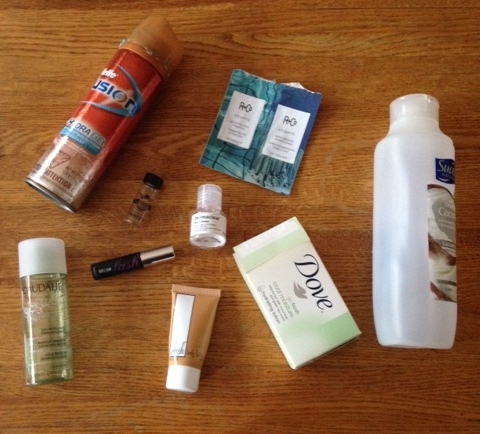 The kit also features Cray-Cray, a coral peach, and Mixtape, a classic red. While I can’t speak for those two shades, I can vouch for Humble Brag; it glides on effortlessly, has a matte finish, and doesn’t dry out my lips the way some other long-lasting lip products tend to do. As a lip color it’s bright enough to make a fun statement without being over the top; it works at the office or out on the town. As a cheek color, it’s even more wearable – once the color is diffused over your cheekbones, it transforms from a bright streak of pink to a sheer, natural flush. Just make sure to blend the color quickly after application. Tip: I love the matte lip look, but I find that it can really draw attention to fine lines or flakes. 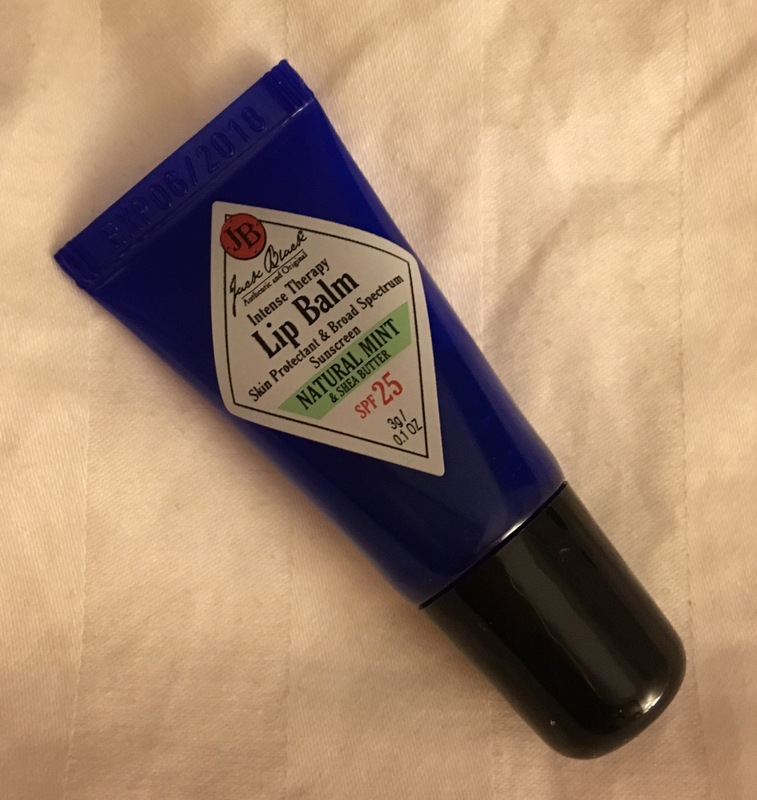 I recommend using a somewhat waxy lip balm (such as Chapstick or Coppertone Sport Sunscreen Lip Balm) as a base to help fill in lines, moisturize your lips and ensure a more even application.